In the 1930s, the Mexican artist Pedro Linares fell ill and dreamed of a strange, surreal forest. 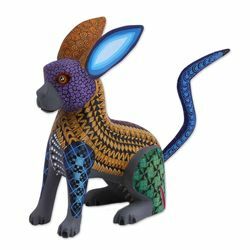 After he recovered, he created the first Alebrijes. This wondrous work of art continues Pedro's fantastical tradition. Are They Hard to Buy For? Let Them Pick Their Perfect Gift.